As a creative person who thrives on writing, when I slip into that creative slump called writer’s block, everything in my life suddenly becomes difficult. I lose energy, creativity, and the ability to write. But, that can NEVER happen to me! Because I’m a freelance writer. Businesses hire content writers – me – to write for them. I write blog posts, landing pages, sales pages, in-depth reviews and more for the B2B space. If I have writer’s block, guess what? I don’t get paid. I become anxious and overwhelmed by the looming deadline. Instead of having 10 days to write my article, I only have three days. But during those three days, I dread and drag my feet. 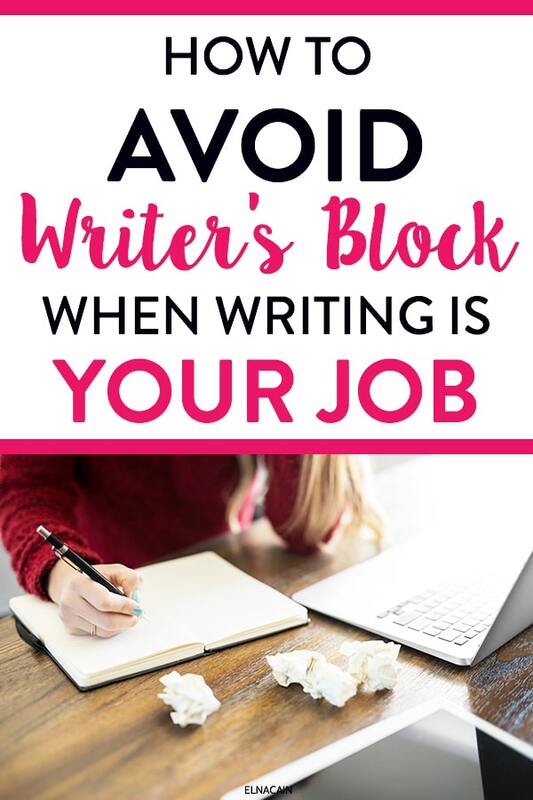 How do you avoid writer’s block when writing is your job? I’ve learned over the years of being a freelance writer, how to re-energize myself to get back into writing. This process can take a week or more, but I’m fortunate that many of my clients have long deadlines or very flexible deadlines (like – whenever you can give it to me Elna is fine! type of deadline). But, that doesn’t always make me feel better by it all. In fact, it can have a negative effect. The Parkinson’s Law magnifies this idea. The law states that work expands to fill the time you give it. So, if my clients give me 20 days to complete the task, it will take me 20 days to complete the task. If they give me 5 days, you bet I will complete it in five days! So, you can see my dilemma at times when I have writer’s block and looming deadlines. That’s why I have tactics to help me avoid this creative slump or slow process so that I don’t lose freelance jobs. 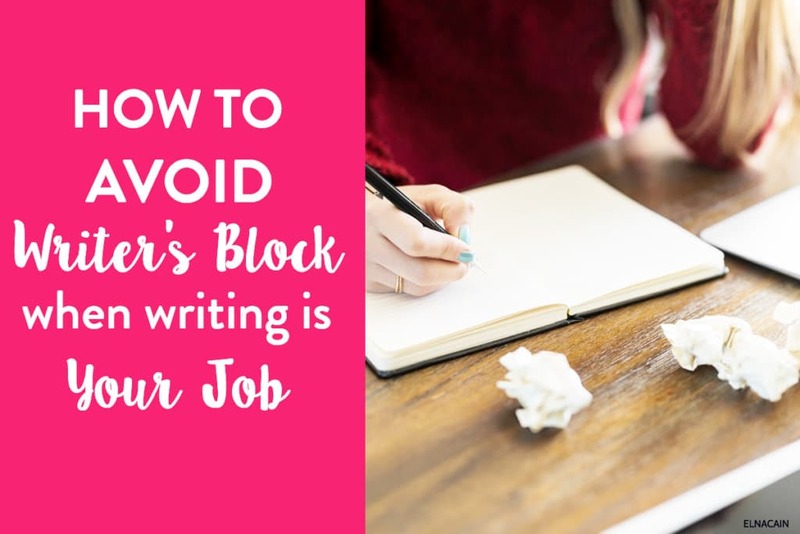 If you don’t have time to read my post, make sure to check out my video on avoiding writer’s block. For some authors, writer’s block can take years to overcome. For me, writer’s block can take anywhere from a week to a month or more. Let’s look at some proven tactics to help you if you suddenly have writer’s block. I “contracted” writer’s block when I was writing two huge projects. I started writing these projects, and for one article I was already at 3,000 words – halfway done. The other post I cracked 1,000 words and was barely through a third of the article. 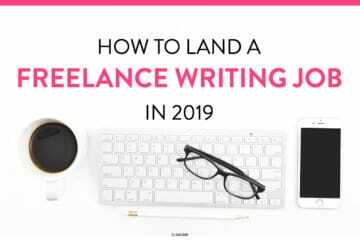 I found that I didn’t have the usual enthusiasm as I normally do when I write articles in my freelance writing niche. Instead, I was dreading the work and writing even 500 words took F-O-R-E-V-E-R! So, I had to take a break. That was the only way I could step away and regain my enthusiasm. But, this writer’s block was harder to overcome. During this time my family became sick. So, I had my hands full taking care of my family as well as managing my client load and my own personal projects. But, if you have writer’s block, allow yourself a break – even if for the day or weekend. Walk away from the project and do something else. Because I get paid to write, I couldn’t completely stop writing. Instead, I chose to write other things – other blog posts, email newsletters or social media posts. And, a big thing I did was that I avoided writing long-form content. My freelance writing niche is writing long-form content. 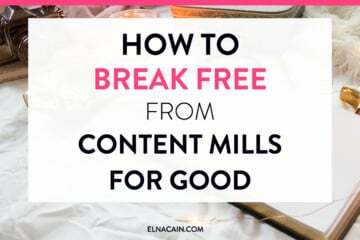 I love writing this type of content, but since I was in the midst of a writer’s block, I chose to write shorter blog posts. I also did three Facebook Lives. Creating these different types of content really helped me gain my creativity back and enjoy the process of writing. A great way to push past writer’s block is to acknowledge it and talk about it. When you get fresh new ideas to remedy your writer’s block, it suddenly becomes easier to overcome it. I also enjoy talking about it because then I hear stories about other people’s writer’s block and how they overcame it. For me, I mentioned my lost of creativity to my email list and in my Facebook group for mom bloggers. 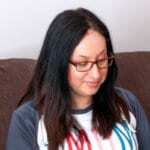 I got a wealth of help and support from other bloggers, moms, and writers! Knowing that you’re not alone really helps pump you up and gives you some confidence. I’d say after a year or two of being a freelance writer, I started listening to music to help me be more productive when I write. I particularly listen to modern classical music when I write for my clients. But, since I was in a funk, I needed something upbeat – salsa music, upbeat music, and pop helped me improve my mood, get me more energized and happy when I wrote. This also helps me focus on my writing and gets me in the writing zone – the exact thing that I lose when I have writer’s block. I don’t know about you, but when I immerse myself in something educational, I can distract myself from writer’s block and focus on learning new skills. During my stint, I took the Speedy Freelancer Writing course which helps you write faster. 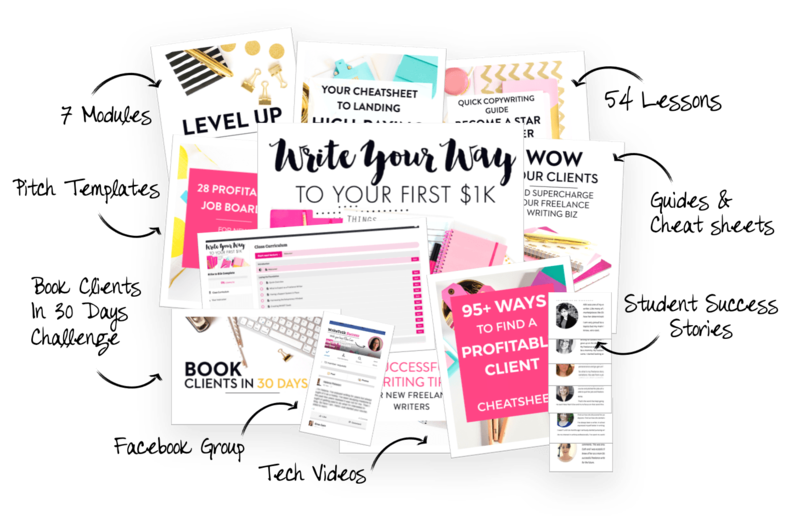 I learned a great fast writing process that helped me write those shorter blog posts in no time as well as give me the tools to combat writer’s block. As a freelance writer, it’s imperative that you avoid writer’s block or writer burnout as much as possible. 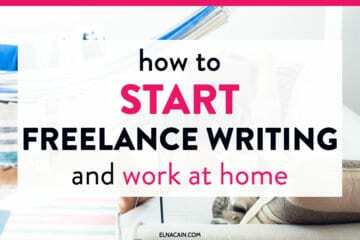 As a preventive measure, here are my best tactics to create a healthy freelance writing business, so you never get writer’s block. The one thing that brings on writer’s block for me is having too many projects or too many big projects. So, pace yourself as a new freelance writer. It may be exciting to pick up three recurring gigs in a month, but don’t overbook yourself! You have control of your schedule. As a freelance writer, you’re going to be sitting for long periods. And, if you don’t already know, sitting for that long time is detrimental to your life. As you age, sitting can damage your posture, increase your weight, create blood clots and more! So, please don’t forget to move around, exercise or opt for a standing desk (this is something both my husband and I are investing in). And since we both work from home, we are incorporating a lunch break walk in the neighborhood. What’s better is to start an at-home fitness routine that you can do during the week to ensure that you are moving around. This is something I try to incorporate at least three times a week! Another huge trigger for writer’s block is stress. When my family is sick or when my car breaks down, or I have several projects due, I shut down. It becomes too much for me. That’s why a self-care regimen is important for me. I have an IRL freelance writer friend that I like to meet up with, I have “me-time” every day, and I take breaks often in my workday. For me, this helps minimize my stress level since life with twins is noisy and busy! Since my clients often give me long deadlines, I like to set internal deadlines. And while I do know I created these deadlines and it’s not like I won’t fail the project, it does help me stay accountable. I also like to “dangle a carrot” so that I’m encouraged to follow through. This can be a date night with my husband, a movie or a spa day. Personally, I never ask a client for an extension when I have writer’s block. To me, it’s unprofessional. This is a business after all! And, trust me – you WILL get the post done if you truly have to! My tips to help you avoid writer’s block for good. If you have had writer’s block or just have been burnt out from writing, share your story and how you overcame it in the comments! Thanks for this post, these tips are brilliant! I’d also suggest writing prompts. I follow a few instagram accounts that post writing prompts everyday and Hubspot also has a very useful tool called “Blog Ideas Generator”. Thanks so much for your writer’s block tips! I’ll have to look at that strategy for sure! Switching to something else or going for a walk really helps me! But you can’t really run away from your deadlines or make a low-quality work for sure. Yes, exercise does help. I’m incorporating walking every day! Ahh, the hardest part for me is taking a break! I tend to get so frustrated and force myself to just write something, but once in a while just stopping and reflecting is the best thing to do. Yes! That is also a problem for me too! Taking a break is super important and sometimes I have to use a timer! Is the cost of your Masterclass in Cdn dollars. Are there any other charges? No, it’s in US dollars!